Alfa Romeo Giulietta Boot Space, Size, Seats | What Car? Cabin space isn’t a strength; the Giulietta provides reasonable head room for those in the front seats and leg room is okay, but taller drivers may feel their hair brushing the headlining and the footwell is cramped. Storage space is poor. The front door bins are very slim and won’t hold a large water bottle; entry-level versions miss out on the centre armrest with storage space that's on other models (although that's it’s very small anyway). The glovebox is average-sized and there’s a small lidded cubby at the top of the dashboard, but the fixed cupholders on the centre console are narrow and the oddment slots in the same area are small and shallow. 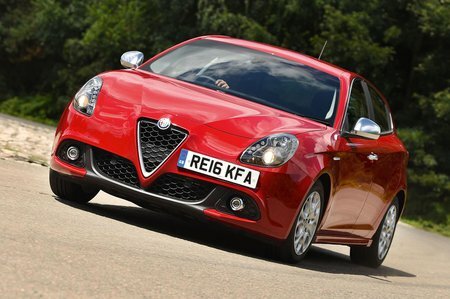 Despite being one of the longest cars in its class, the Giulietta provides less rear leg room than many of its rivals. It’ll be fine for most, but a taller passenger sitting behind a similarly sized driver is likely to have their knees in contact with the seat in front. Head room is below par and the shortage of space makes the central seat pretty uncomfortable. 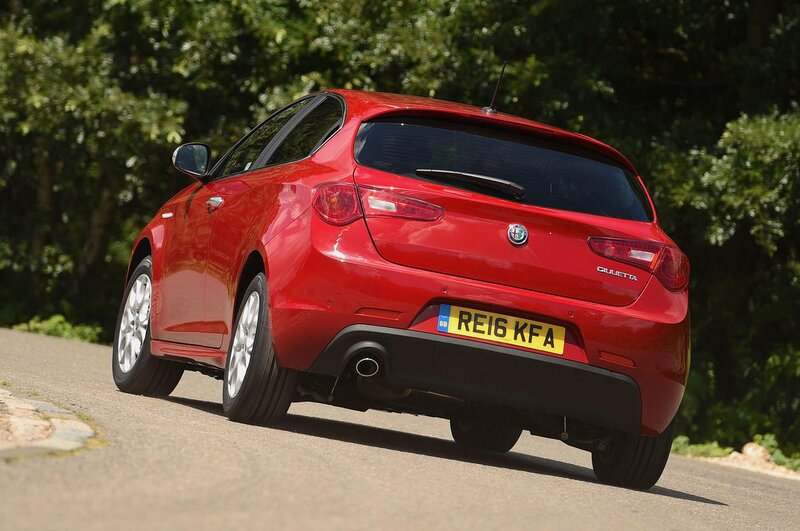 Access isn’t great due to the sloping roofline; all in all, the Giulietta isn’t especially family-friendly. Front seatback pockets are standard on all but entry-level cars, however, and all Giuliettas have surprisingly useful rear door bins. Like most compact hatchbacks, the Giulietta isn’t the last word in versatility. As with most rivals, you can fold the rear seatbacks forward for extra load space but that’s about it. Tipping the seatbacks (which have a 60/40 split) forward is easy, requiring a tug on a handle at the top of it. The cushion stays in place, leaving a reasonably long area with raised, sloping section. Mid-spec Speciale trim and above comes with a passenger seat height adjustment and a central rear armrest with a storage compartment, a third rear head restraint and a through-load system as standard. These are optional on lesser versions. In isolation, the Giulietta’s boot isn’t too bad – it’s large enough for a pushchair or set of golf clubs, for example, and has a slightly larger capacity than a basic Ford Focus. You don’t get as much load space as you do in an Audi A3 or Volkswagen Golf, however, and although the load space is a regular shape, the boot entrance is comparatively narrow and there’s quite a drop to the floor. 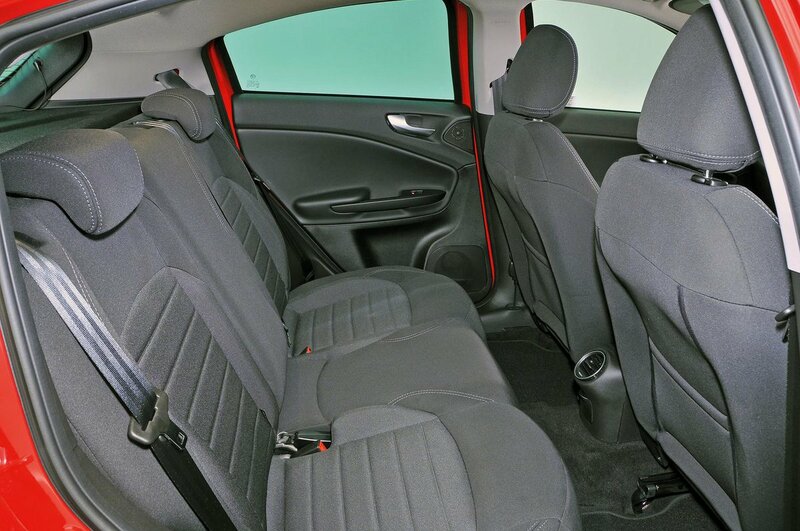 With the rear seats folded, there’s decent space, but not as much as you'd get in a Golf. The floor isn’t flat, either.